Size: Small, at around 8 inches in length from the beak to the tip of the tail. 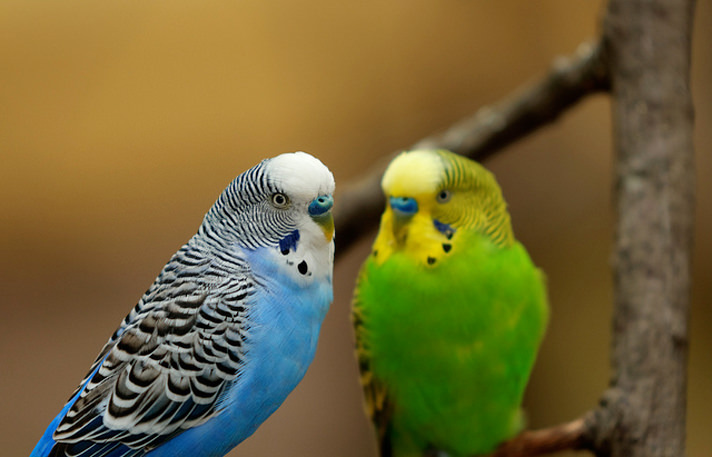 Compatibility: Parakeets are sweet, sociable members of the parrot family who crave the company of other birds. They’re also small and delicate, and not every type of house bird finds them to be charming roommates. Keep your parakeet safe, happy and healthy by pairing her with friendly company. Personality: Keep parakeets and their companions in larger cages together or in a more open confined area. Feeding them separately and paying individual equal attention to them can also help quell jealousy-induced conflict.